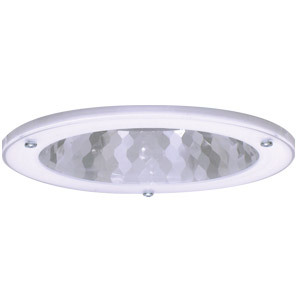 A useful range of recessed ceiling mounting downlight fittings. The luminaire comes with integral gearbox and uses compact fluorescent lamps. The protective polycarbonate diffuser is housed in a fully sealed and gasketted frame, to give the luminaire IP65 protection. The range is also available with maintained remote emergency and digital dimming options. The units are designed to provide the required lighting levels in exterior applications such as arcades, entrances, and overhangs of most industrial, educational, medical and commercial buildings. 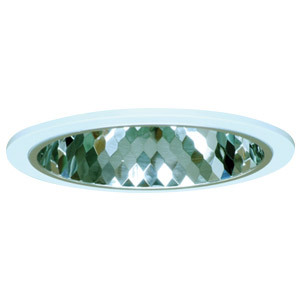 A modern range of recessed ceiling mounting downlight fittings. The luminaire comes with integral gearbox and uses compact fluorescent lamps. The reflector is made from facetted aluminium and has been designed with the best photometrics in mind. The range is also available with maintained remote emergency and digital dimming options. The units are designed to provide required illuminance levels as well as an attractive appearance in most residential and commercial buildings. For any advice regarding the technical aspects of these products please consult our Technical Department. 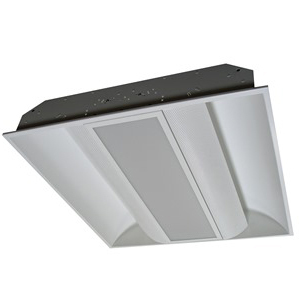 Surface linear range of up and downlight luminaires designed for commercial, hospital and educational environments. 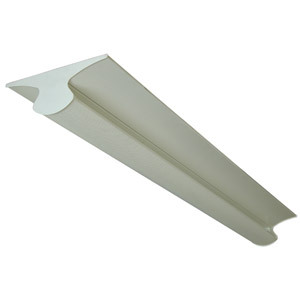 The luminaire uses T5 high efficiency fluorescent tubes with high frequency electronic control gear. The combination of perforations on the controller and reflected light off the gull wing reflectors gives a soft light distribution. The shallow powder coated mild steel construction keeps the luminaire depth to an absolute minimum. The luminaires are designed for use in those areas where aesthetic appearance is important and there are various options of light source available to enable a suitable balance between efficacy and effect to be achieved.